Albert E. Risebrow is a Senior Associate at FKSFPC, having joined the firm in 1989. His expertise is devoted to both medical malpractice and general liability defense. 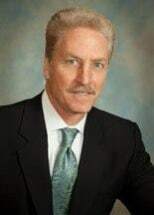 Prior to entering St. John's University School of Law, Mr. Risebrow gained extensive experience in the insurance industry, having worked for multiple medical malpractice insurance carriers and third-party administrators adjusting medical malpractice claims. Mr. Risebrow currently practices professional liability defense for hospitals and health care professionals and general liability defense for not-for-profit agencies and municipalities in New York Metropolitan area. He has broad knowledge and experience representing physicians, hospitals and allied health care professionals in high exposure, complex litigation and has been successful in obtaining many favorable results in the pretrial phase avoiding the need for trial. He is also active in coordinating the firm's general liability department, and has achieved favorable results in a wide range of litigation including premises liability, Labor Law, school liability, automobile liability, subrogation, sexual assaults, assault and battery, civil rights, and insurance coverage issues.